Joining Alcami in 2015, Stacey Ramsey, a senior scientist specialized in microbiology, is a scientific expert on microbial retention. Ramsey’s work focuses on the clinical stages of a drug product which compliments her experience in process development and method development in microbiology. 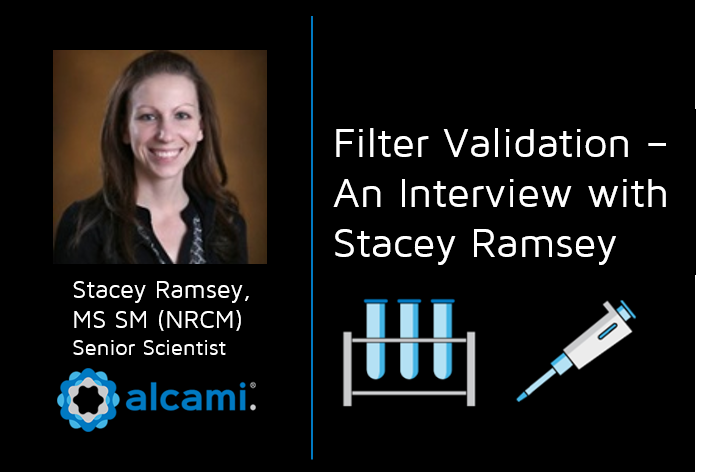 Being part of the development process goes beyond running tests on lab samples, which allows Ramsey to showcase her passion while being a fundamental member of the Alcami development process team. How would you explain filter validation to someone outside of the pharmaceutical world? From a big picture perspective, filter validation is filtering out microorganisms from a lab sample. In other words, it’s when you have a drug product that it is sterilized by means of a filter. In order to be able to filter out microorganisms, the filter has to have such small pores that it excludes bacteria and, therefore, you’re filtering out bacteria.